How to Find Concrete Cutting Services in Melbourne? Are you looking for information on concrete cutting cost in Melbourne? First, you should understand the importance of hiring the services of a professional concrete cutting company instead of trying to do it on your own. It may seem easy but professional expertise is needed for efficient and effective cutting. 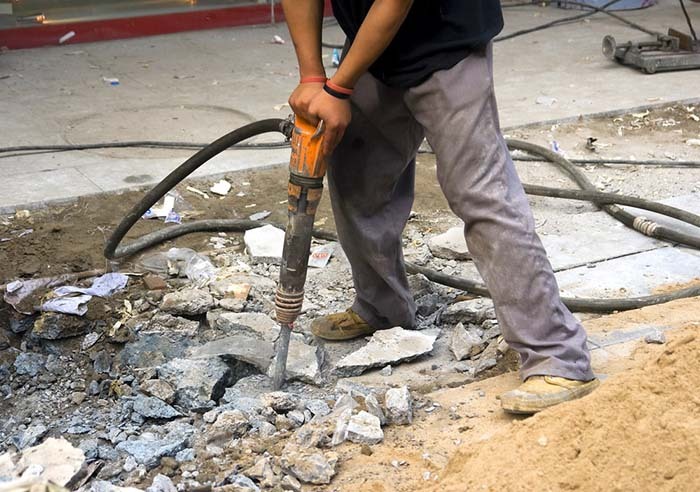 The concrete cutting process involves drilling, sawing and removal of the concrete. You should not try to do it on your own without proper tools and training as it may cause additional problems. Also, it’s not safe to handle heavy machinery without proper safety equipment. Many different types of concrete cutting saws and blades are available in the market today at a variety of price points. The first problem you will face if you try to do the cutting on your own is the selection of the right tools for the job. Different types of saws, as well as blade depth, are needed for cutting down different types of materials. For instance, you should know that wet saws are best used for smooth and small cuts as these are capable of reducing dust during the cutting process. Similarly, diamond blades are needed in order to achieve sharper cuts in an efficient manner. If this project requires a massive amount of concrete cutting, you will need to use walk behind saws. For achieving professional cuts, you will need to use handheld saws in order to achieve the desired finish. The tool selection will also depend on the required cutting depth. You may use a hand saw for cutting concrete up to 4 inches deep but professional equipment is needed to cut concrete which is deeper. Professional companies use different types of saws in order to complete the job efficiently. This is the reason, it is best to hire the services of a professional company with a good reputation and a lot of experience to get the job done in the right manner. In order to get an idea about the actual cost of concrete running, find companies offering concrete cutting services in your location. One of the best ways to find the right company is to ask for referrals from your friends, family members or others who have recently required the services of a concrete cutting company. In addition, you might also use Google to find companies offering concrete cutting services in your location. You also need to understand that concrete cutting usually requires concrete drilling as well as cutting separately. If you need both these services, you should try to find a company that offers both these services instead of trying to get estimates from two different companies. Once you have a list of companies offering concrete cutting services in your location, you should do further research by checking their reputation as well as experience. Experience is extremely important in this industry as anyone can buy the required tools and start this business but it does not mean that they are aware of the right ways to use the tools. You should check the experience of the company by visiting their website and finding out about their number of years of experience in the industry. This information should be easily available on the website. In case you are unable to find this information on this website, give them a call and ask them about the types of services offered by them and how long they have been in this business. You should also look at reviews of the company. To check reviews, search for their name online and read the reviews on various review websites as well as forums. Carefully check the reviews and do not rely only on the number of positive and negative reviews. Most people who are satisfied by the services of a company are unlikely to leave reviews about the service provided by the company on various review websites. On the other hand, you are likely to find more negative reviews. Therefore, it is better to read the reviews in order to make up your mind about the reputation and customer service offered by the company. Another important thing you should know is that a professional company is never going to offer you a full estimate only on phone. They need to visit the site and do a full inspection in order to provide a complete estimate. Stay away from companies that offer a quote on the phone without asking any questions about the kind of job that needs to be done. Only after a complete inspection, a professional will be able to understand the scope of the job and the type of machinery required along with the time required. Once they have completed the inspection, they should be able to provide you with a comprehensive estimate depending on the nature of the work. It is recommended to ask for estimates from at least 3 to 4 companies who have a good reputation and a lot of experience in this industry. You should ask the company to provide a comprehensive cost estimate along with the expected time for completion. Stay away from companies that are not willing to provide an estimate in writing. Some companies try to charge hidden fees once the job is done. Therefore, it is important for you to get the estimate in writing before the work begins. Ideally, you should choose a company that offers services at the lowest price but you should also pay attention to the reputation of the company as well as customer service. Do not take a decision only on the basis of the price. Keep in mind that the cost estimate is offered on the basis of the depth involved as well as the other materials present at the work site. Most companies also have a surcharge for stand downtime and for cutting suspended slabs and other such things. Usually, companies do not mention the prices on their website. If the prices are mentioned on the website of the company, it should be taken only as an indication of the final price. In case you have any doubts about the price, it is better to give them a call and ask them to give you an estimate after doing an inspection of the website. VIC Sawing and Drilling offers concrete cutting services in Melbourne. They are an experienced and reliable company with a good reputation. Call now at 03 8786 3621.